A refined model for understanding the source of campylobacter infections may be a key management tool for public health officials around the world. The pathogen campylobacter, which causes the gastrointestinal infection campylobacteriosis, is the most frequently notified enteric disease in New Zealand, according to the Ministry of Health, and places an incredible stress on the public health system. 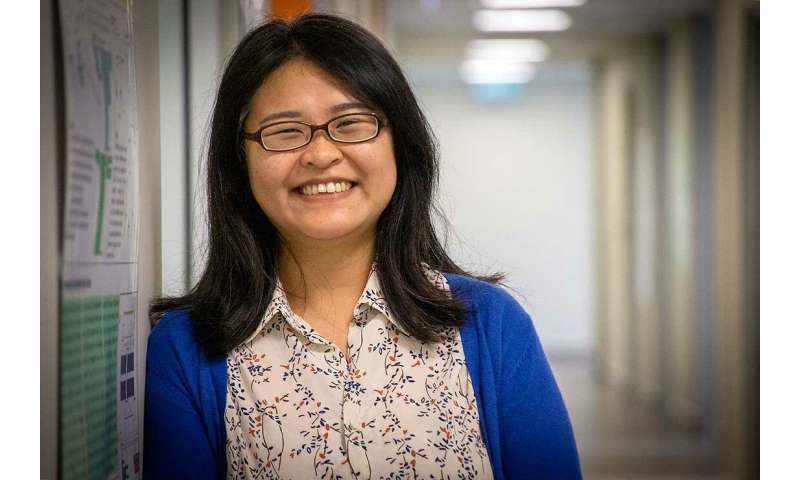 An outbreak of campylobacteriosis in Havelock North in 2016, caused around 5,500 out of 14,000 residents to become ill.
Massey University Ph.D. student Jing Liao says in recent years, the rates have dramatically reduced, thanks in part to the guidance provided by statistical models, however, New Zealand's rate is still high by international standards. "Understanding the source of infection, including drinking contaminated water, eating undercooked animal food products, or handling food products contaminated by animal faeces, is essential for the implementation of control measures. By modelling the potential sources and pathways of infections, you gain the ability to identify where the highest risks are and where interventions will do the most good. "It provides timely and accurate data on high-risk areas for public health officials to guide efforts," she says. For example, in 2005-07, the models identified high-rates of campylobacteriosis cases attributable to poultry. This allowed the New Zealand Food Safety Authority (now the Ministry for Primary Industries) and the poultry industry to intervene with measures such as improving slaughter and processing, to reduce levels of contamination. Currently scientists use a range of models to help distinguish between different animal sources of human infection, Ms Liao says. "This includes the asymmetric island model; a statistical source attribution model which uses microbial genetic data and evolutionary processes." However, she adds, a key question for scientists is whether these complex genetic models yield superior attribution results compared to simpler, non-genetic models, and whether the models can be improved to include risk factor information on individual human cases. "Simpler non-genetic models can help to test model assumptions that underpin the more complex genetic models, but they may not perform well under certain conditions." The research used surveillance data on campylobacteriosis gathered in New Zealand's Manawatū region between 2005-14. The team compared the asymmetric island model with an adaption of the Dirichlet model, a genetic-free model, to determine whether it could guide management with the same success as the other model. The comparison found that the simpler model proved just as robust as the more complex model for identifying the source of common human strains of Campylobacter, but did not perform as well for rare strains. However, if the majority of infections are caused by highly observed strains, the simpler model may be fit for purpose and has the advantage of being quicker to implement. The study found strong differences between rural and urban populations in Manawatū, with those living in highly rural areas much more likely to get campylobacteriosis from mammals, while poultry was the predominant source in urban settings. Ms Liao says the research is promising, but there are more areas to explore. One future direction is to adapt the models with additional risk factors, which might include age, occupation, and contact with animals. For example, there is evidence that children in rural areas are at higher risk of campylobacteriosis through contact with farm animals. "Another direction is in expanding the role of water. In these models, we have assumed that water is a source of human campylobacteriosis infection, but water differs from the other food and environmental sources in that it is not an amplifying reservoir for Campylobacter. While there is presently little evidence that water is an important source for human campylobacteriosis from the current models, these are fitted to data on sporadic cases of campylobacteriosis. However, as the residents of Havelock North are well-aware, water is known as a key source of outbreaks of campylobacteriosis. "Characterising the source of Campylobacter found in water has important implications for both water quality and public health," she adds. Ms Liao says the research also represents the results gained from interdisciplinary collaboration in the area. "This work took the cooperation of not only a number of organisations in the health and agriculture sectors, but also a lot of scientific disciplines. Modelling zoonoses [infectious diseases that can be naturally transmitted between animals] requires an advanced approach with the focus changed from just epidemiology to a combination of epidemiology, evolutionary genetics and biology." What is campylobacter, and what are we doing about it?